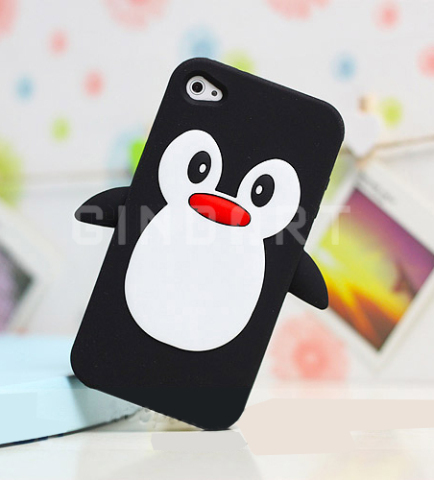 Even when it's hot out, you'll be chillin' with this cool penguin iPhone cover -- and classic black goes with everything. Unless you would prefer your penguin to come in another color, like purple or blue. This kind of cute won't freeze you out! Soft silicone case for comfortable, non-slip handling. Comes with a stylus for use with a touch screen. Cell phone not included. For more information, or to order, click here. For many more cute iphone covers, you can look here at Amazon.